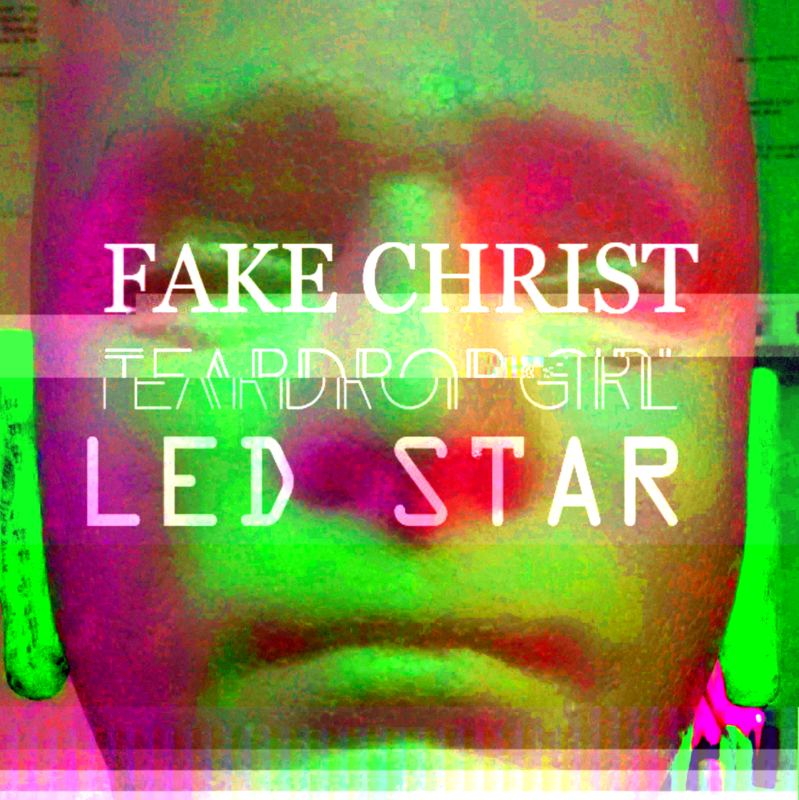 Fake Christ Teardrop Girl LED Star is my first album, released in mid-2016. It’s inspired by chiptune, demoscene and early synth music. It was written very, very sporadically between 2009 (2 years after I began writing music) and 2016, and almost abandoned several times. Music is hard! If it weren’t for a lot of happy musical accidents, it likely never would have been finished. None of the music was written particularly for an album. Some of it is written for its own sake, some was written for video games (which never came out!) and some tracks are theme tunes for podcasts and other videos. The album features about 50% ‘home-grown’ synths and samples, and a very prominent Yamaha RY30 drum machine. The album art is a picture of a styrofoam mannequin head. The head has two anatomically-correct ears glued to it, and each ear has a condenser microphone inside the ear canal. These are soldered to the cable for a pair of cheap headphones. The head functions as a binaural microphone, but doesn’t actually feature in the album. It is, however, proudly displayed in a bookcase in my house. The name ‘Fake Christ Teardrop Girl LED Star’ comes from a graffiti-covered fence in Coventry, England. The fence stood between a very miserable looking hotel (now demolished to make way for a large roundabout) and a road. It was written as a series of predictions (e.g. ‘Fake Christ’ – 2012, ‘Teardrop Girl’ – 2014, ‘LED Star’ – 2016). There were also a series of predictions for UK general elections. To the best of my knowledge, none of them came true. You can download and listen for free on my Bandcamp and Soundcloud pages. Last updated December 18, 2016.